Horse racing statistics are the lifeblood of the professional punter and tipster. With these stats at his fingertips the punter can enter an Aladdins cave of potential big price winners and glittering returns. Discover how to maximise the return on your bets with my free staking plans. To analyse data in depth, Raceform Interactive is the definitive tool but you will need deep pockets. There are many ways to harness the power of horse racing statistics, none more effective than in the creation of betting systems. Take for example the maiden favourites system which has an overall return of 8%. Employing the vast database of horse racing information available to us today online, it is possible to refine such a system to further increase the return. Beware of falling into the trap of backfitting your system ie creating a system around a set of results as this is unlikely to continue in profit. Systems can also fail if the punter loses his nerve during a losing run or misses a few selections because of a hunch or whim. It also makes no sense to paper trade system as the punter will fail to engage with the act of betting and miss the highs and lows that come with actually backing the horse. If the punter waits until the system is performing exceptionally well and then piles in, he is likely to be disappointed as returns will inevitably fall. So it can be seen that the psychology of betting is of paramount importance. Although it is important to engage fully with the betting process it is also important not to allow emotions prevent a cool assessment of the situation. Horse racing statistics should only be used as a guide to inform your selections as so many factors contribute to a winning performance, some of which are imponderables. For example how the horse is feeling on the day and whether anything has occurred to upset its state of mind. Having said that, it is remarkable how consistently horses perform, and this is the whole raison d'etre behind the handicapper's art. You can use betting software (Bots) to place bets automatically. BF-BotManager is the one I use as it is reliable and is constantly updated to reflect best practice and industry thinking. The Racecourse - horses for courses is a time honoured way to assess the likelihood of a winning performance. If the horse has good balance it will be suited to a tight course with sharp bends. If it enjoys a long, hard gallop then a straight course or one with wide sweeping bends will be preferred. The Going - differences in the state of the ground wil impact on the running style of a horse. If the ground is soft a horse with a round action, who can easily lift its feet out of tacky ground, will be able to perform to its best. Conversely a horse with a light action, who floats over the ground, skimming the surface, will be best suited by firmer going. The horses' Form - has the horse performed well or poorly in recent races? Is it coming back after a break and lacks fitness or is it keen to get back racing and run up to its best first time out.? The Trainer and Jockey Form - Is not quite as important as the preceding stats but is quite powerful when good form for both is combined. Ratings These are produced by a handicapper to assess the relevant merits of each horse. 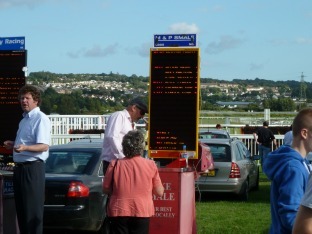 The Horse Racing Board produces an official rating OR which is used to handicap races to allocate a weight allowance. Other ratings are produced independently, most well known of which are those of Raceform and the Racing Post. In short, all these different factors can be weighed and assessed from our horse racing statistics to consistently improve our winning selections.